Of course, we all want to win and be winners but according Carol Dweck (who is a leading researcher on motivation and a Professor of Psychology at Stanford) this innate desire and expectation to always win can be a fatal flaw, and can actually get in the way of achievement and success. 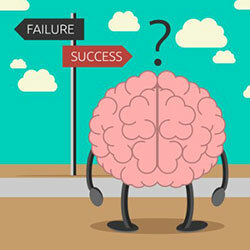 According to Dweck’s research, if winning and succeeding is the only outcome you have set for yourself – it’s no wonder it feels really awful to lose, and you end up believing you are not as smart or as talented as you originally thought. Or even worse, you see your failure as someone else’s fault (e.g., they never liked me or wanted to see me succeed). This way of looking at your situation, she calls a fixed mindset, and is not very energizing. Moreover, it will not set you up for future success as you will be less likely to take risks and more likely to give up when faced with a new challenge. On the other hand, those with growth mindsets, believe they can increase their intelligence and talents by working really hard and learning from their mistakes. They view things that don’t go their way not as failures but as information or experience they didn’t have before that they can apply to future situations. According to Dweck, they believe that their brain is a muscle that can be strengthened with practice. Those of us who have been studying why certain leaders are successful when placed in first time or complex situations while others struggle –have called this learning agility. 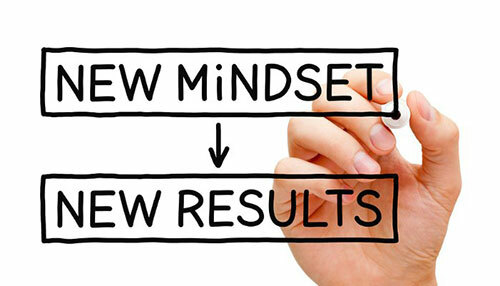 So, the next time things don’t go the way you had hoped, and even worse you fail at something really important… challenge yourself to have a growth mindset… cause you will bounce back a lot faster, smarter and more resilient. Let’s face it … if Thomas Edison hadn’t failed 10,000 times before inventing the first successful lightbulb – we would all be sitting in the dark AND then it would be really hard to win…right?? ?